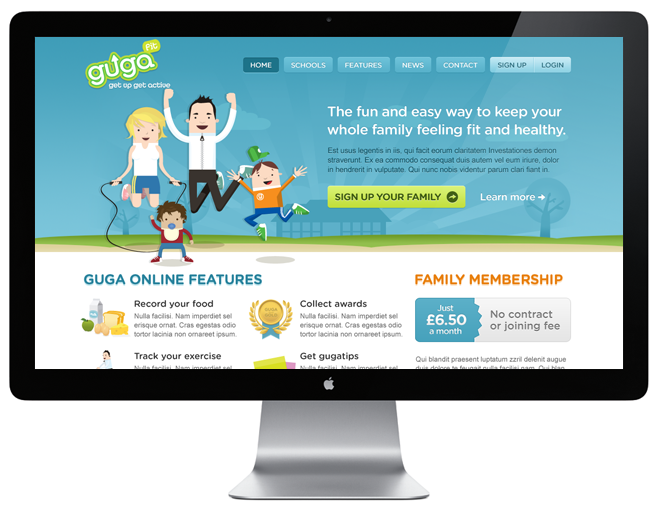 Gugafit is a fun and easy way to keep the whole family feeling fit and healthy. 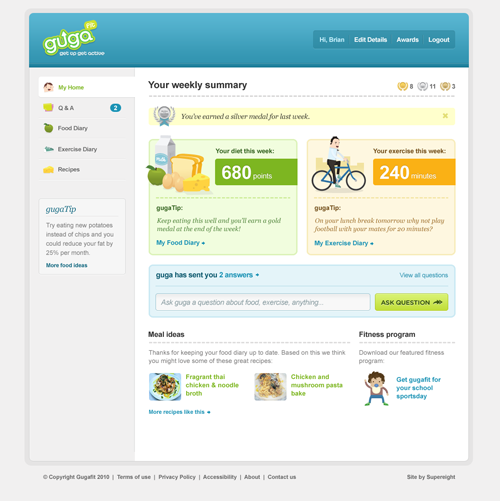 Along with physical classes through schools, Gugafit is designed to engage children in healthy living. 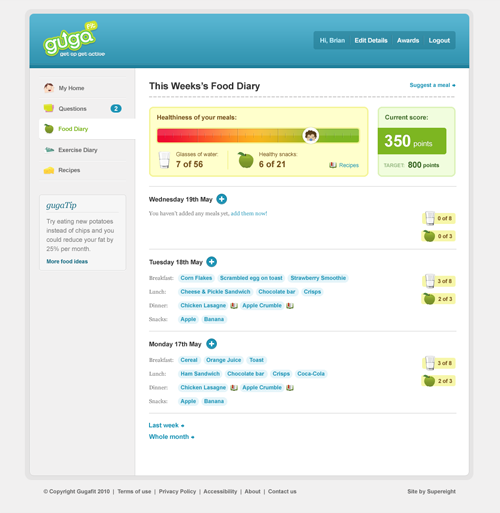 Children and parents can track their food and exercise together and collect awards along the way. The logo mark was designed by our good friends at Tangerine and we created a fun and friendly illustration series to work alongside it. 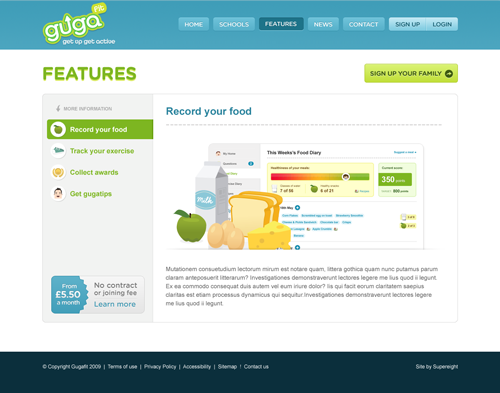 We worked closely with Gugafit to bring their fun and enthusiasm from their classes to the web. 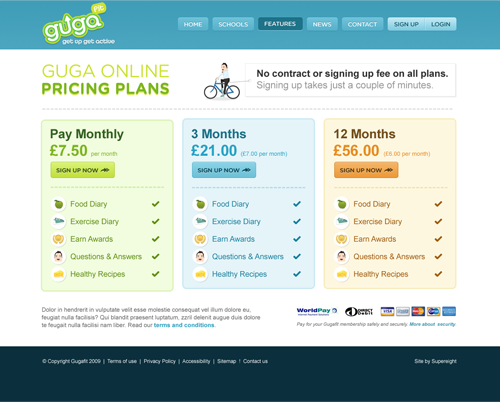 We undertook the UX, UI design and front-end code for the website and the health tracking app and worked with the guys at Websushi to integrate our work into the back-end and payment gateway. A real team effort. We’ve worked through a number of project phases with Gugafit and they’ve always been a great fit for us as they’re small and flexible. We love how the illustration turned out on this one. We wanted to work with a design company that we could speak to and communicate with to make sure that our website is an enjoyable experience for everyone who uses it.